- Lightweight, 0.64" trough size. 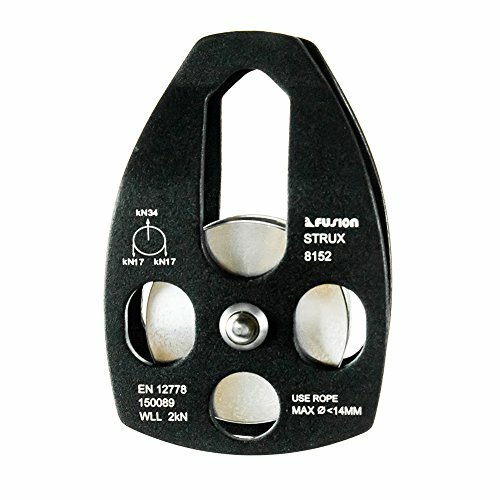 - This pulley is an ideal choice for various applications. - Side swing aluminum side plates with smooth rounded edges and bushing for little wear and longer life. - It is designed with a large hole for multiple carabiner attachment. - MBS: 34 KN, Rope size: < 14mm. Dimensions: 5.04" x 3.5" x 1.42"